In her latest movie, Olive brings a woolly mammoth back from the Ice Age – a BIG mistake. Luckily in real life she can’t mess up so badly. Or can she? When Olive gets caught up with the biggest bully in showbiz, everything goes pear-shaped. Soon her best friend, Rani, won’t talk to her and Olive’s apology rehearsals don’t seem to be helping. Why can’t life be like the movies? Will she be able to make things right? 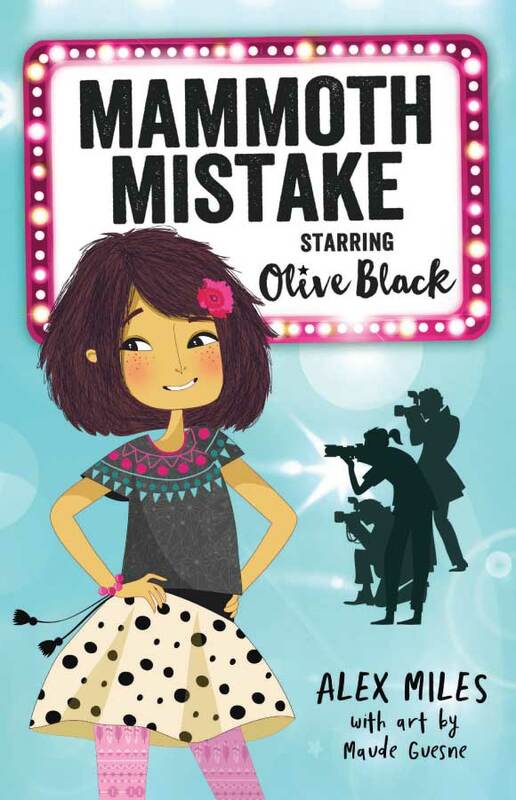 Mammoth Mistake was the first book in the Starring Olive Black series and has been about six years in the making! I had the idea for the book on a road trip with my friend Katie. We were at Sea World in Queensland. Lots of characters came and went during that time but one thing never changed, the pocket-rocket Olive Isla Black. 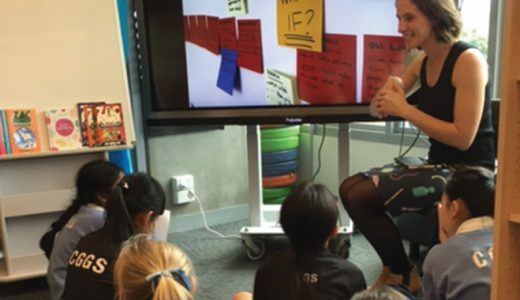 Kyha Winkle, the designer of Olive’s dress for the Mammoth Mistake premiere is actually based on Kyha Simpson, a real-life designer. I think Khya is such a clever and creative chicken. She even made my wedding dress using my mum’s 40-year-old wedding dress … sounds similar to the ‘lace antique tablecloths’, right? Wink wink. Unfortunately ‘Simpson’ didn’t rhyme with ‘tinkle’, so I had to tweak her name change. 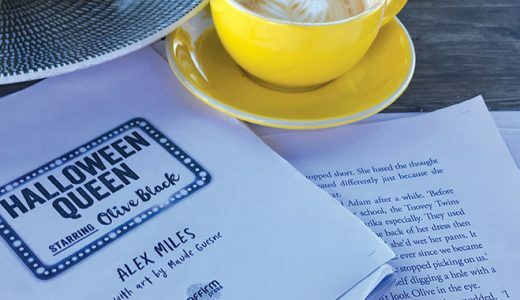 “Mammoth Mistake is the first book in a new series by author Alex Miles, who, among other things, has written for the hugely successful ‘Zac Power’ series. Olive Black is a fairly average girl, for a movie star. She might attend the premiere of her new movie Mammoth Mistake wearing the latest designer gown, but she cares more about her friends than the spotlight. Which is why, when her best friend Rani gets mad at Olive for abandoning her, she knows she has to go off-script and speak from the heart to win her back. Mammoth Mistake is a week in the life of a film star. Its charm comes from its central character Olive, who makes plenty of mistakes and gets caught up in petty jealousy with her rival, but who would do anything to make her friends happy. 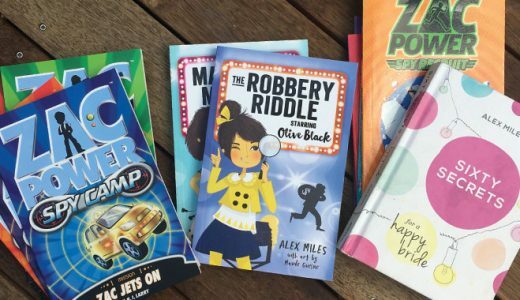 If the first book is anything to go by, this series will be a big hit with younger readers who enjoy the quirky mayhem of books such as Jen Storer’s ‘Truly Tan’ series.